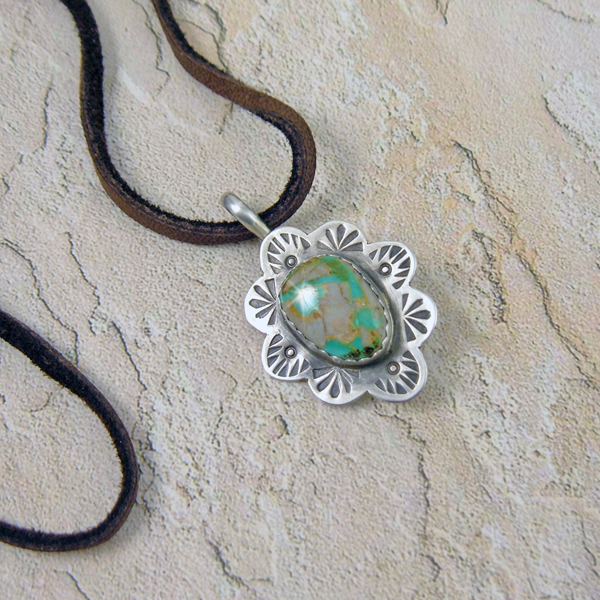 A stamped design shows off the unique quality and colors of Royston Turquoise set in sterling silver, a necklace surly to catch everyone's eye. 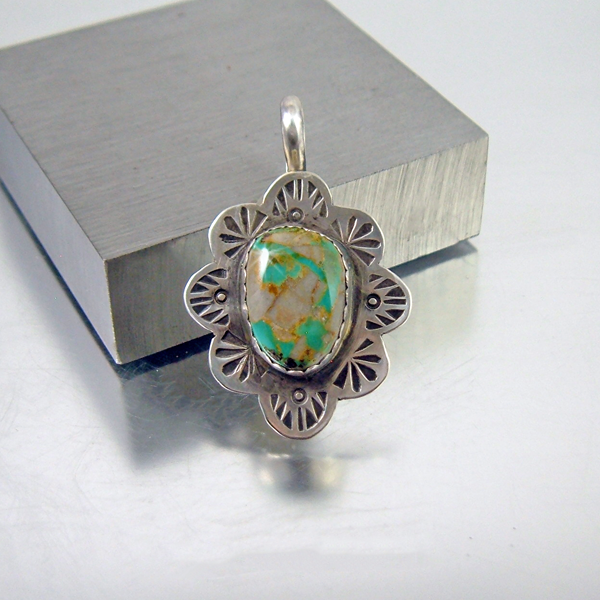 Oval turquoise necklace pendant featuring Royston turquoise. I don't know many who don't swoon over Royston turquoise because of its wide variety of colors and veining. The natural designs within the stone allow the maker many options to show off the stone. I kept the stamping clean and simple making the turquoise the focal point. 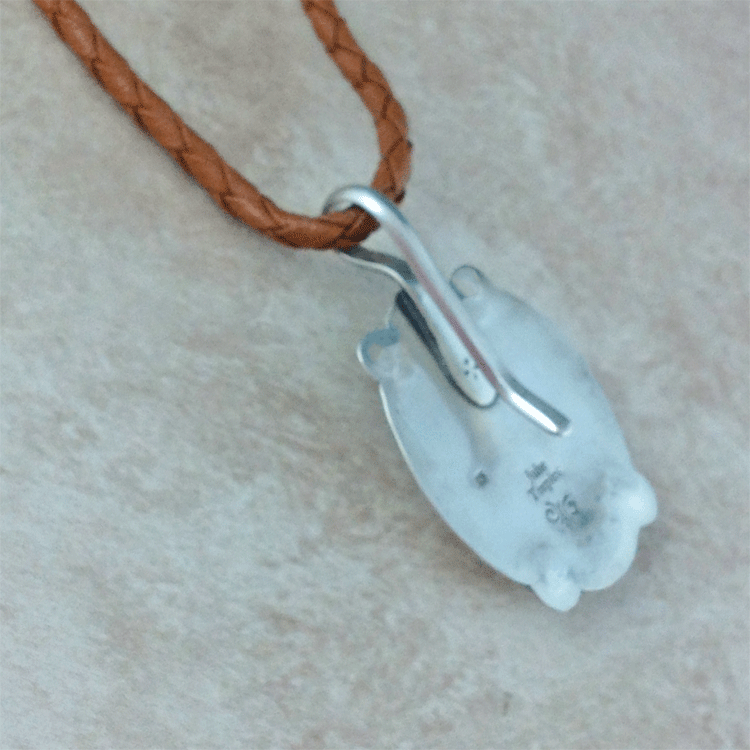 Set in sterling silver with a hook bail allows you to wear this pendant on unlimited types of necklaces. 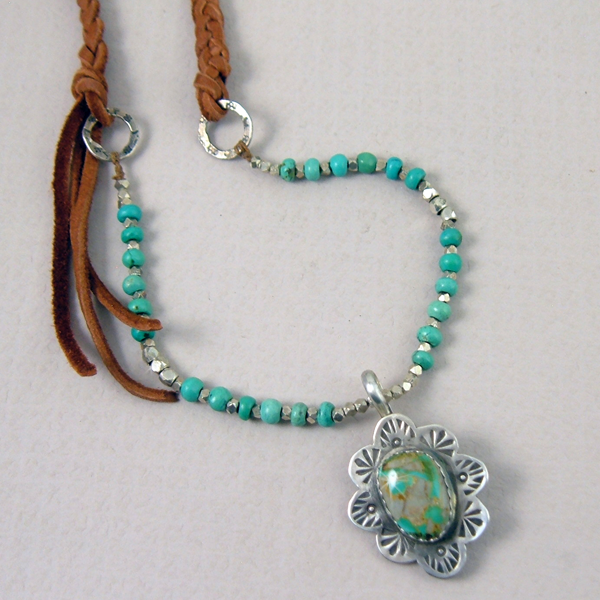 Wear it simple or with layers, mix it with chains and beads, you'll be reaching for this turquoise pendant necklace to wear more than you can image. Most likely you've traveled through Nevada maybe you passed Tonopah NV where the Royston Turquoise mine is located. 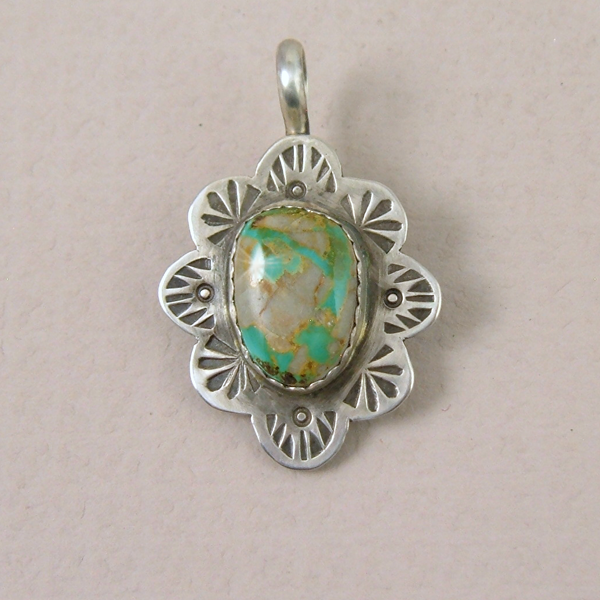 This pendant is part of my American West Collection. Suitable for either a man or woman.